Daniel Radcliffe has admitted it’s a long "process" moving on from his defining role in the Harry Potter franchise, and insisted his projects since the series are all part of him moving on. 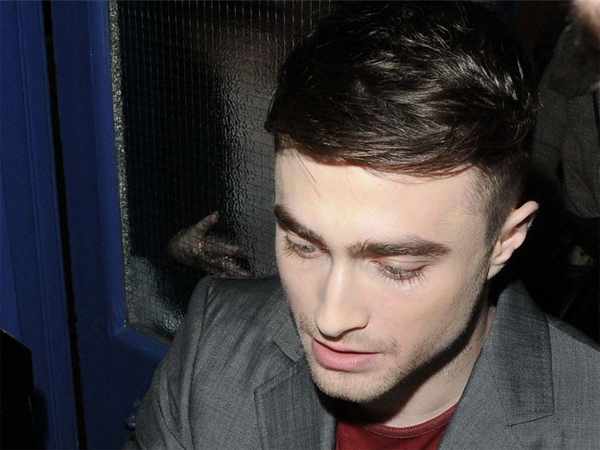 Daniel Radcliffe admits he faces a battle moving on from Harry Potter. The 24-year-old actor starred in the wizard franchise and insisted it will take a long time for him to stop being associated with the series. Speaking at the Toronto International Film Festival yesterday Daniel ? who has films The F Word, Kill Your Darlings and Horns at the annual event ? admitted he hoped the new projects would help him avoid being typecast in the future. He told E! News, "There's never going to be one film that comes out that officially breaks me away from Harry . . . It's a process. "But I definitely think that these three films are a part of that . . . You don't make a long-term plan in the film industry because it's very hard to." In the past, Daniel has revealed he hopes to emulate Dustin Hoffman and become a leading man in Hollywood despite his short stature. He said, "The person I've been looking at is Dustin Hoffman. In fact, I passed him the other day and he is absolutely on the shorter side, as am I. "But he was in all those great roles, from action thrillers to romantic stuff. So there is a way of doing it unconventionally if you don't necessarily look like the 6ft [1,8 m] romantic lead."